I was making coffee early Wednesday as 70-plus-an-hour winds howled outside. There was a deafening crack and crash as the building shook. What was that? Sue and I wondered. 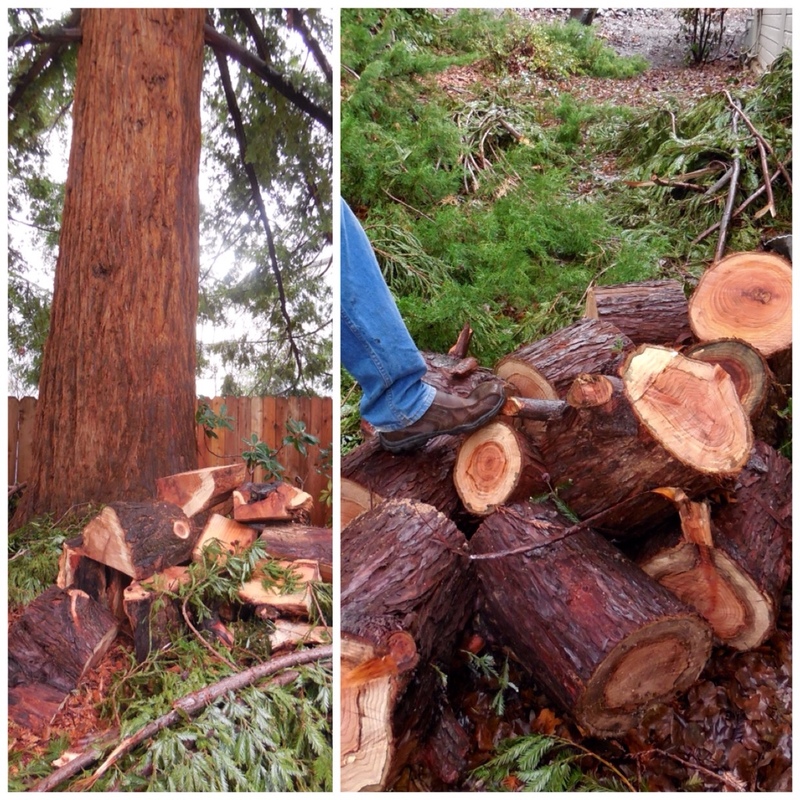 We went out on the back deck and could see part of a tree-sized limb from a coastal redwood that had landed on our neighbor's and our roofs. Our neighbor's home took most of the damage, but we had a four-foot gash in our roof. Our resident manager and a tree expert had the roofs cleared and patched by noon, just in time for heavy rain. Permanent repairs will come soon. The irony was not lost on us. We lived in a rural forest area near Yosemite for 24 years and never had any damage from falling trees. Over the years, we had several huge bull pines taken down because we feared they could drop branches or more on our house. So, we moved to Ashland for the carefree city life! Glad the damage was not worse. Sure miss you guys. Have a wonderful holiday. Thanks, Kathy…have a great trip! Eeks! Mother Nature in action!